Founded in 1994, Amazon is now the world's largest online retailer. Its chief executive, Jeff Bezos, is the world's richest man, with a net worth of more than $160bn. Neil Saunders, managing director of GlobalData Retail, said: "To reach a market capitalisation of over $1tn is impressive. To do it in a little over 24 years is extraordinary. "That Amazon has achieved this demonstrates its dramatic advancement in both the retail and technology sectors, as well as the influence it now wields over large parts of the consumer landscape." 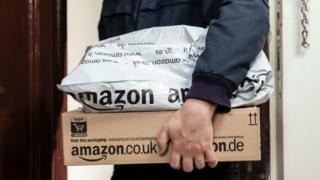 It's a strategy that seems to have paid off: Amazon reported $2.5bn in profit last quarter, making it one of Wall Street's most profitable companies. It employs more than 575,000 people, a force nearly the size of Luxembourg's population. Its profitable cloud computing division, which hosts huge swathes of the corporate world on its data servers, is the industry's global leader.